Lithium – To Take or Not to Take? T'is a serious question. How are things? Up until recently, pretty fabulous, except I got a bit of a surprise. I went for my yearly physical today and my doctor told me that I have a swollen thyroid! GREAT! Things have been going so well and then this happens. I don’t want to be negative and say ‘just my luck’ because that would be false advertising, I consider myself very lucky. It is difficult to accept that I might have a hypo-thyroid. This means that my metabolism may just slow right down and the symptoms are vast: weight gain, sluggishness, poor concentration, and even the possibility of cancer. Then there is the most obvious reason –lithium. Damn! I have finally found a pretty decent medication cocktail and it may be messing with my thyroid. Then the questions arise: Would I stay on lithium even though my thyroid may be affected? Would I prefer to risk it and go off lithium just to ensure I don’t have the suffer the effects of hypo-thyroidism? Would thyroid meds work? Would I want to take more meds? Once upon a time a little girl asked me if I found out down the road that lithium was causing me a harsh side-effect then would I still continue to use it. I told her yes, but now I am starting to reconsider. I have many fears about the possibility of going off lithium and the major factor is going into a deep psychosis like I did before. The past does not create the future and I am rest assured that if ANYTHING were to potentially happen again that I would take action to stop it. Would I be able to stop it? So many questions. I was hoping to return to school once again in January 2012, even received my doctor’s consent to return after being away for 1.5 years. Now I fear contacting the Dean and conveying all that I have been experiencing as I felt pressured by the university to return earlier. I also have muscle balance problems in my eyes, probably due to medication as well, and it is difficult for me to read a book, view a computer screen or my phone. HOW WILL I SURVIVE SCHOOL IN THIS STATE? I am freaking out a bit here, this babe is NOT always cool and collected. I just hope my thyroid test comes back ok. 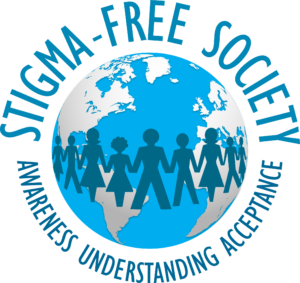 I hope I make it through this ok.
https://stigmafreesociety.com/wp-content/uploads/2015/11/s7s.jpg 228 228 Andrea Paquette https://stigmafreesociety.com/wp-content/uploads/2019/03/STIGMA-FREE-SOCIETY-2018-01-2-300x283.png Andrea Paquette2011-11-02 00:00:002017-09-14 08:37:31Lithium - To Take or Not to Take? T'is a serious question.